In Elorus, regardless of the main (domestic) currency of your organization, you are able to invoice your customers in their domestic currency. You can also keep purchase records of foreign suppliers in their native currency. Elorus provides you with a full list of currencies used worldwide, including Bitcoin! Regarding the domestic currency, you can set it up and alter it before any documents are saved. This constraint is due to the fact that any exchange rate calculations are based on this setting. All the financial indexes in the application are displayed in your domestic currency, including the records saved in a different currency. This practically means that the system automatically converts values into the main currency of your organization. To calculate the exchange rates in each document we use the currency layer API; a very reliable exchange rate & currency conversion service. You can determine the preferred currency per contact or per document. 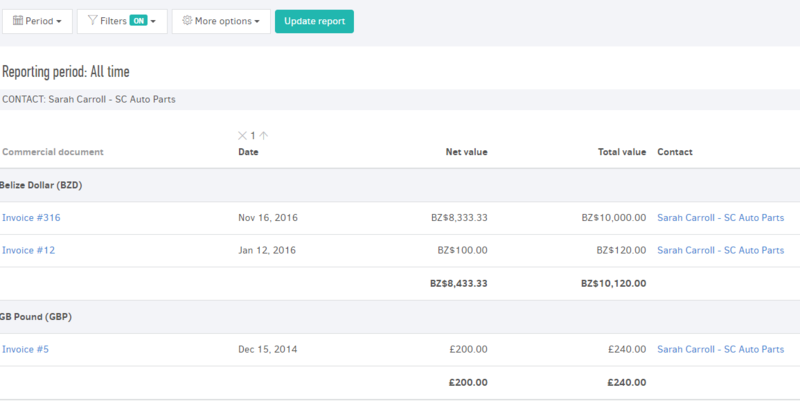 Upon creating a new contact, or editing an already existing one, you may choose a default currency their invoices are going to be issued in from the "Additional info" section. A new document is assigned the default currency of your contact. 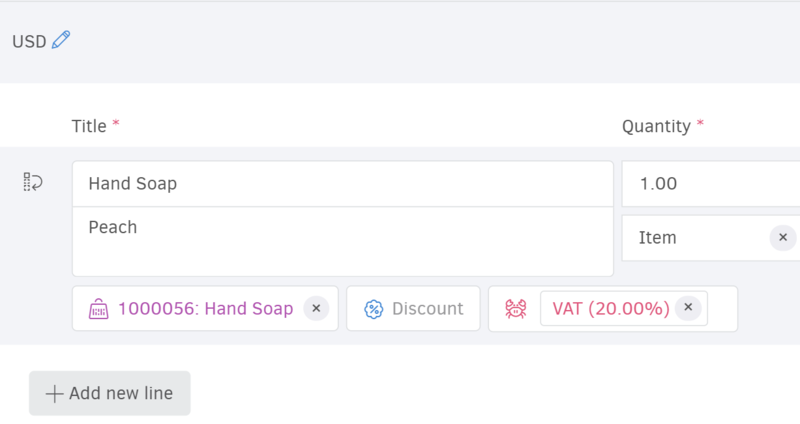 If the desired currency for the particular document is different, you can change it from the Currency Settings button on the top-left of the products/services table. Once you select a currency, will inform you about the current conversion rate in relation to the domestic currency just below. You can manually enter the rate of your preference in this field, as well. > Regarding credit notes, the currency must match the currency of the related invoice to which it refers to. Each saved document has its own conversion rate based on its date, which can be found on its display page, above the document's creation details. 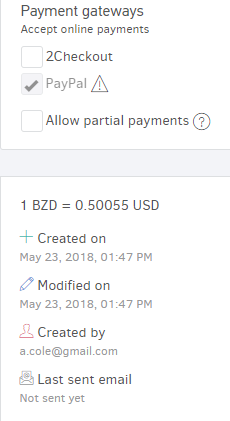 In the example below the domestic currency is theUS dollar (USD) and the suggested exchange rate is its conversion to the Beliz dollar (BZD) for the given date (GP=BZD). All conversion rates in Elorus use the domestic currency as the base currency and the foreign currency as the counter currency (indirect quotation). Elorus also gives you the option to set the preferred conversion rate manually from the respective field. 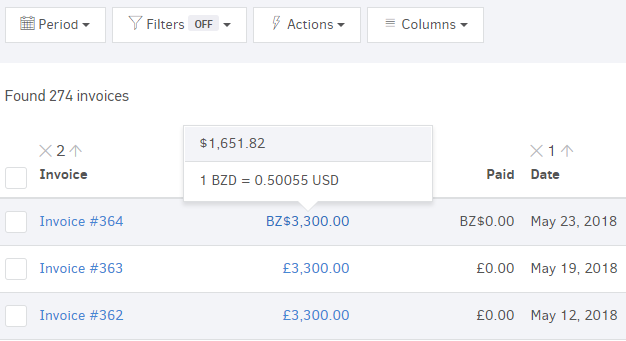 You can also learn about the conversion rates through the invoices list if you click on the value of a document. There you will see the nominal value of the document "translated" into the central currency of your organization and the "relationship" between them. This is especially useful if you have come to an agreement with your client/vendor for a specific exchange rate. Finally, keep in mind that when you change the transactions date, the exchange rate is automatically adjusted, so that it reflects the actual date's rate. Therefore, it is more practical to pick the preferred date first, proceed with submitting the document payment and then make any exchange rate adjustments manually. Via Elorus you can view a wide array of reports in all the possible currencies under which you have saved documents. 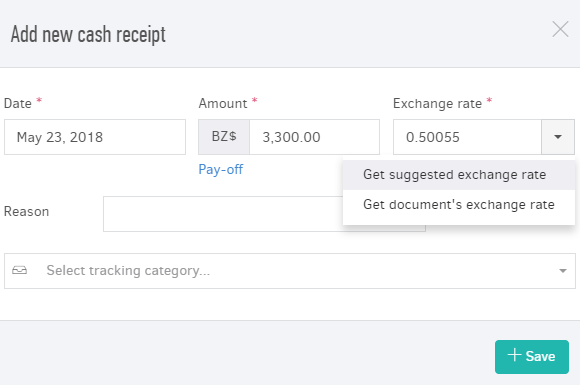 Τhe system automatically converts documents' values into the main currency of your organization, calculating them based on the exchange rate of each record. 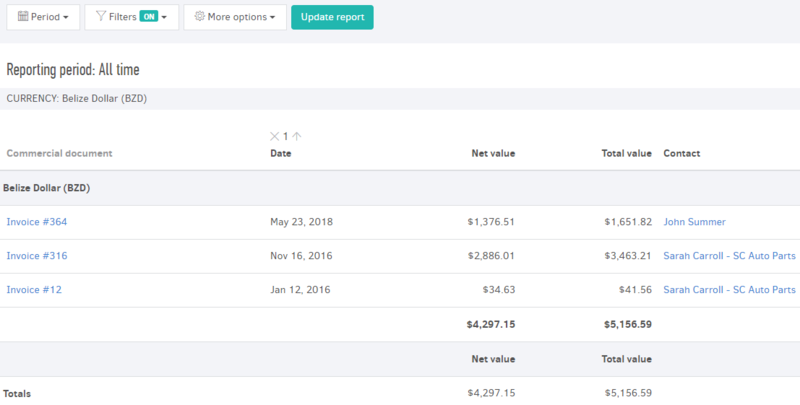 Furthermore, you can obtain a "Revenues/Expenses" report for all the documents issued in multiple currencies in their original values. 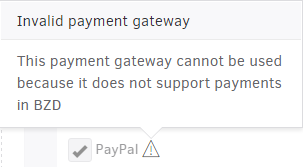 Just clear the filtering in US dollars applied to the previous report and press "Update".